I will do that i got one coming up real soon :) Working on some GHZ act 1 i got 25 so far but it is so so hard to get 24. Haha yeah 25 is super nice too. 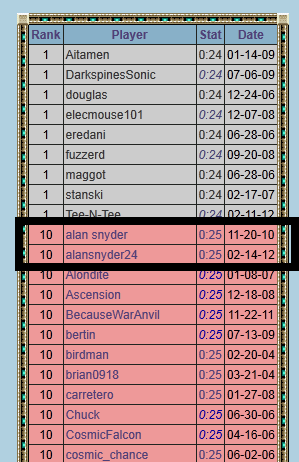 But after years of speed running i'm sort of a perfectionist. Anyways i got a few levels i want to try so i won't stay on a level for to long at least at first.